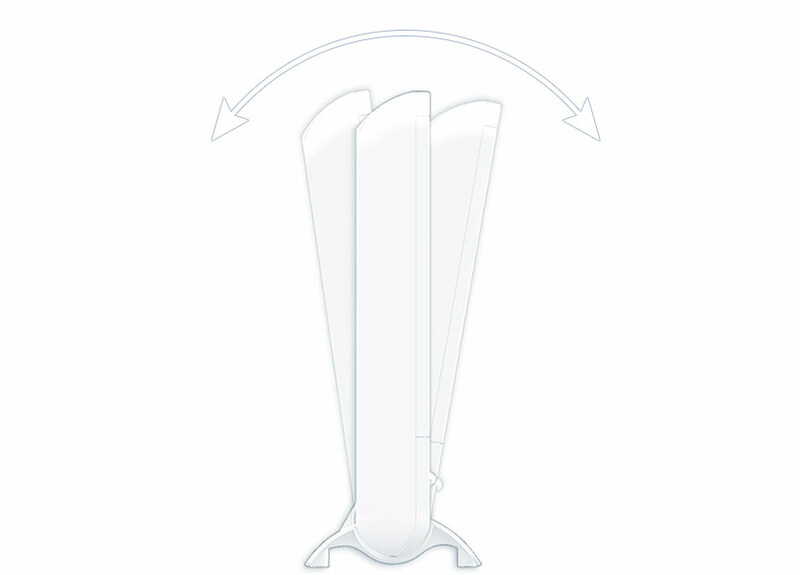 Want to buy the Verilux HappyLight Liberty 10,000 Lux Energy Lamp? Simply click on the image to the right, which handily shows the current price! Note: All images used in this review have been kindly provided with the permission of Verilux. If you want a compact SAD light that gives you upto 10,000 lux of light and is easy to move around, the Verilux HappyLight Liberty 10,000 is one of, if not the best on the market. If you decide you want to get the Verilux HappyLight Liberty 10,000, see where you can get the best price. The novel factor about the HappyLight Liberty 10,000 is that not only does it have two intensity settings, it also has two easily interchangeable lenses that each provide a different light range and energy. This means you get four light intensity options to suit your needs. So as you can see depending upon the combination, you can get between 3,500 and 10,000 lux of light. 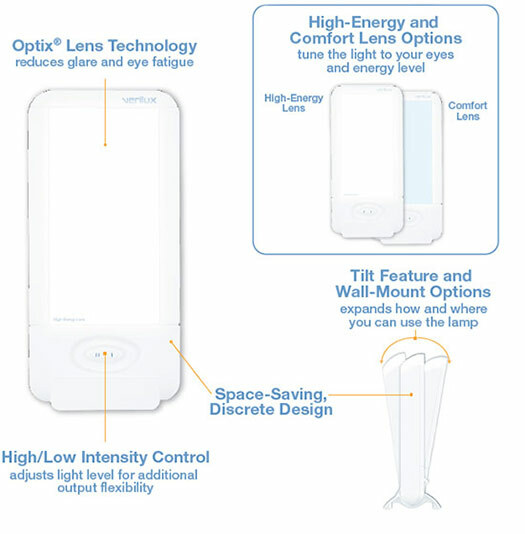 The Comfort Lens cuts down on the glare of the light – it provides a gentler and warmer light, whereas the High Energy Lens is brighter and harsher but provides more lux. If you are new to light therapy the best thing to do would be to start on the Comfort Lens at low intensity and gradually work your way up until you feel comfortable enough to use the 10,000 lux. As always with SAD lights, the light should be positioned off to the side so you aren’t staring directly at it. It is meant to be no closer than 6 inches and no further way than 24 inches for your face for best effect. For most people 30 to 60 minutes, in the morning, is a productive light therapy session. But try it out and see how you get on. All you need to do is plug it in, turn it on and off you go! As alluded to above the variation of light the Verilux HappyLight Liberty provides is quite unique. It emits the highest concentrated amount of light recommended (10,000lux) whilst also giving you the choice of a lower setting as well as a filter to soften the light. So there really is the perfect fit for everyone. The light is white and natural and the four light settings mean it can be used for light therapy in the winter and as a general lamp to read by in the summer. Changing the lens is surprisingly easy. Simply get a fingernail or small coin under the surface, snap it out and put the new one in. Once you’ve done it a couple of times you can change the lens in about 15 seconds. The HappyLight Liberty is also compact, lightweight and portable. The base is around six inches wide so doesn’t take up a lot of room and won’t overcrowd a desk or bed side table. It is easy to carry from room or to take away with you (as long as there is a power source to plug it into). Another nice little feature is that it can be wall mounted. It has two slots in the back that you can use to hang the light if you so wish. It can also be tilted backwards or forwards for optimal angle. Again this is a quite unique factor among SAD lights as most other lamps can only be titled away from you. The optimal position for SAD therapy is slightly above eye level and tilted down, so taking into account the fact the light can be wall mounted and tilted backwards and forwards, it really is easy to get this light set up in a great position to receive your light therapy. The fluorescent bulb contains no UV rays and is rated to last for 10,000 hours. The light also gives off no ozone/ions or smell, is easy to use and has clear and specific instructions. There really isn’t a huge amount to feature here although if this is the first SAD lamp you have bought it might take some adjusting to the light as it can be a bit overwhelming especially when on its full setting of 10,000lux. 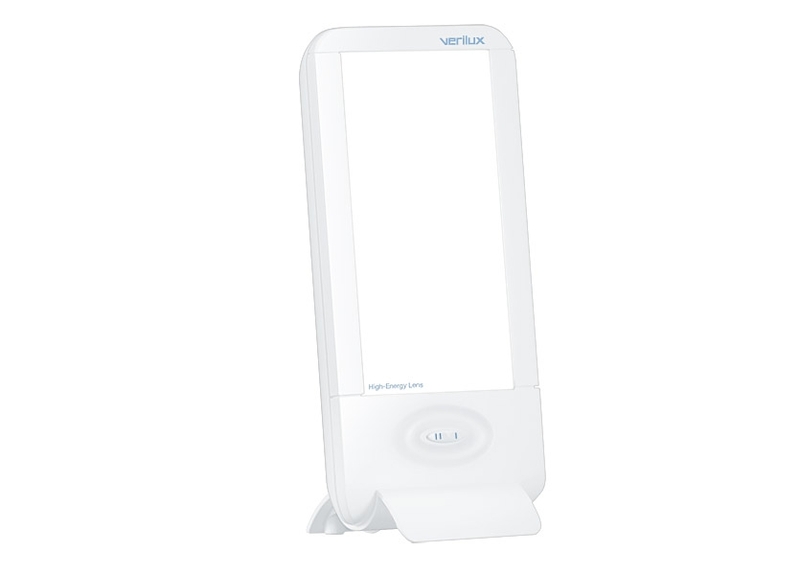 One of the possible side effects of light therapy is headaches and some users have reported suffering them after first using the Verilux HappyLight Liberty 10,000. If you are anyway unsure about this, the best thing to do is to easy yourself in gently. Start with the Comfort Lens and low intensity setting and the light placed out of your direct eye line around 24 inches away. Then gradually bring the light closer making sure you are still comfortable with it and, when you are happy, increase the intensity and/or lens. There is no timer on the light – not a big issue – but many SAD lights do come with timers and it does need power from an outlet as there is no option for batteries. Replacement bulbs are pricey too. They are only manufactured by Verilux, so you have to by from them and they cost around $24. The light is tall and narrow and the base is very stable. Not much to complain about in the looks department. It is well made and very durable and will survive the occasional drop or topple. A really nice looking light whether it be on your desk or wall mounted, it fits in to the setting naturally and inconspicuously. It has a huge amount of positive feedback from users and is one of the most popular SAD lamps on the market. It helps with sleep and energy levels and generally lifting the mood during winter months. If you do a bit of research on the internet you will find it is not just me who is giving this light the thumbs up. At least nine out of ten reviews do the same. In short – the chances are it will make a difference for you! Verilux has a great reputation when it comes to SAD lamps and they have again excelled themselves with this product. The flexibility and variation of the lighting means it is suitable for everyone. It is well designed, easy to move around, solid and durable and provides up to 10,000 lux of light. All at a reasonable price. No product is ever perfect, so as ever there are a couple of little niggles, but these really are minor. It is very highly recommended by me indeed. There aren’t many better SAD Lights on the market, but if you want something comparable check out the Carex Health Brands Day-Light Sky which I love, and the Carex Health Brands Day-Light Classic which is also great. If you would like to leave your personal review or experience of this product, or if you have any questions, please do leave them below. I would love to hear your feedback! 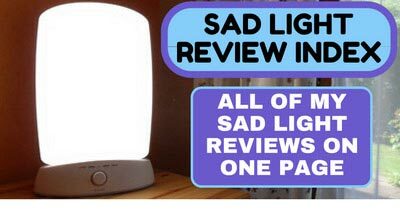 Don’t forget you can also check out our SAD Light Reviews Index for all of my SAD Light Reviews on one page or read my SAD Light Buyers’ Guide to pick the best SAD Light for you. Steve first noticed he might be suffering from SAD in Autumn 2011. 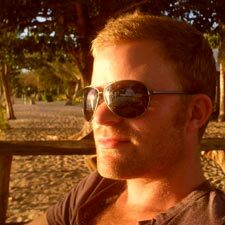 After 18 months travelling the world (and following the sun!) he returned to England in March 2011 and was plunged back into grey skies and cloud! Find out more about the Shine A Light On SAD Review Team. The product looks very interesting. I’ve read that bright light improves one’s moods. I’d be interested in knowing how long the Verilux itself lasts on average? Is there only one bulb and at $24, how long would the bulb last too? It seems a little expensive at $97, but if it lasts for many years then maybe that’s the reason why? I’m surprised that there isn’t a product that has battery options as well, but then maybe the batteries wouldn’t last long? Thanks for your comment Rob. The bulb in the Verilux is rated to last for 10,000 hours, so even if you used it for an hour a day every day it should last you 27 years! It is just one replacement bulb set you would need to buy for $24. 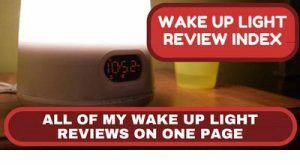 There aren’t too many products around that have rechargeable batteries strangely, but one that does and is worth checking out is the Circadian Optics Lumos, which I have reviewed. What a great device! I never heard about it. This product is what I need as days become so short and the Sun is covered by clouds for several weeks now. Unfortunately Verilux SAD lamps I did not find in European Amazon stores, but it is other a Lumie Arabica Seasonal Affective Disorder SAD Lamp. I hope it is not a big difference. Thanks for a good idea how to improve the mood during long winter dark. Thanks Andrejs, I am glad I could bring this to your attention. The Lumie should be a good enough replacement – just make sure it is 10,000 lux or it will not be as effective. Good luck on geting through the winter! I would like to purchase one of these lights. I wonder if they sell them at any retail store in Canada or do you have to purchase through Amazon? Yes you should be able to find these at retail stores in Canada I am guessing (I am from England so can’t say for certain). I link my reviews to Amazon as generally (whether you like them or not) they give the best price. If you click on one of my links and buy a product rather than all the money going to Amazon we at Shine A Light On Sad get a very small % of the sale (typically 4%). You can find out more about that on our About Us page. Hope this helps. I visited Canada for the first time in the summer and absolutely loved it!